Our sea glass and glass stones are perfect when you want something colorful and unique. You can easily coordinate with any event or theme, and recipients will have something truly eye catching for display or carrying. Available in both engraved and printed options, our glass products come in bright purples and reds, as well as the soft blues, yellows and greens of the ocean. 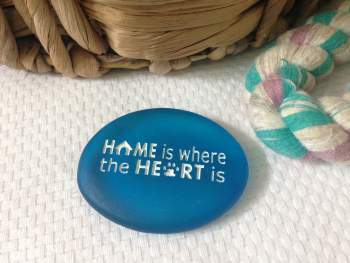 Printed stones are ideal for display, as the ink may wear off from carrying in a pocket or rubbing, while the engraved sea glass and beach stones are durable and superior for taking them on the go. Begin by determining if you want engraved sea glass or printed glass stones, and then select your colors as well as your text and/or images. These items make lovely gifts or attractive display pieces.